Posted By:Unknown | At:11:18 AM Be the first to comment! 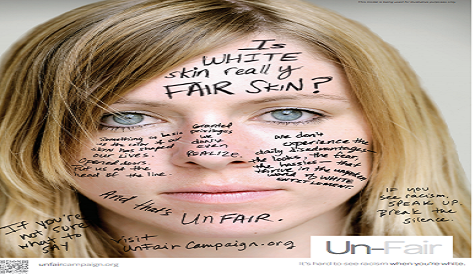 We've discussed the Un-Fair Campaign on this site at length in previous post and how the University of Minnesota-Duluth is hoping that the campaign will be a catalyst to end racism by focusing and bringing attention to 'white privilege'. The campaign has produced a new ad campaign that features white actors discussing the privilege that comes along with their fair skin and how society has been set up for white people. The campaign is sponsored by the NAACP as well as the League of Women Voters.